Daniel is an Assistant Environment Consultant with the Environmental Engineering at SWECO in Edinburgh. He works predominantly on contaminated land remediation and redevelopment and has gained experience on numerous projects for which his role has varied from writing desk studies, running site investigations, site remediation supervision and quantitative risk assessments. One most exciting project which Daniel has had continued involvement with is the redevelopment of the Sighthill area of Glasgow. Within the area an estimated 800,000m3 of chemical waste called Galligu has been deposited over nearly 100 years of chemical industry in a large depression. Considering the huge volumes of waste encountered and at depths of nearly 20m below the current ground surface it was considered impractical to try and remove or chemically treat the waste. After detailed assessments by SWECO and independent remediation contractors it was decided the most practical way of treating the waste was to construct a slurry wall around the largest areas of deposits while removing smaller areas. This solution meant that the waste was isolated from the water environment and limited the amount of contaminated water reaching the wider water environment. Daniels enjoys the variety of projects in which he is involved with SWECO, and finds them both rewarding and challenging, having needed to learn a wide range of skills and gain knowledge through varies environmental departments. Having a broad knowledge base across the environment department has helped him better understand and tailor his more specific roles in projects that involve multiple discipline within the organisation. 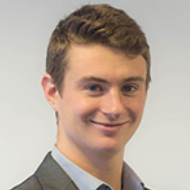 Daniel graduated from Lancaster University with a BSc (Hons) in Earth and Environmental Science after which he worked for a specialist geological engineering consultancy for 12 months before completing a MSc in Engineering Geology at Leeds University. Upon completion, he joined SWECO (then Grontmij) in 2013 and has been working with the company since. Daniel felt that the REnvTech process has provided him with valuable experience and understanding in preparation for applying for Chartership. In addition, he feels it is an important recognition of the knowledge he has gained throughout his career. Throughout Daniel’s career he has gained experience in planning, supervising and accessing information from site investigations in order to conduct contaminated land risk assessments in line with Part IIa of the Environmental Protection Act 1990 and associated Contaminated Land Guidance and Regulations. He has gained experience in constructing and developing Conceptual Site Models which use concept of significant pollutant linkages to establish where known sources of contamination pose a risk to a receptor through environmental pathways. Furthermore, he has gained experience working with numerous stake holders as Lead Engineer on site investigations and as a NEC3 Supervisor for remediation works. Daniel believes that it is important that the work of Technician’s supports and develops sustainable practices within the industry to continually reduce their impact on the wider environment. Daniel understands that in his role as and an Environmental Consultant, he should help reduce environmental damage through wasteful practices that may be employed by development contractors. During his work on the Sighthill Redevelopment Project he helped promote the reuse of ground materials on site by accurately zoning areas to their future development use and using the most appropriate screening criteria’s available. This reduced the amount of materials that needed to be removed from or treated on the site. Within the next few years, Daniel hopes to apply to become a Chartered Scientist through the Institution of Environmental Sciences. In the meantime he is hoping to gain more experience by taking an increased role in leading site investigation and remediation projects.